A full flavoured Organic Extra Virgin Olive Oil. 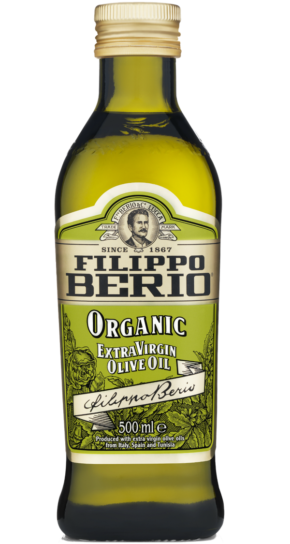 All the goodness and flavour of Filippo Berio Extra Virgin Olive Oil but made from 100% organically grown olives. Store at room temperature, away from heat and direct sunlight. Becomes cloudy below 8ºC. This does not affect product quality.